I love a great top!!! And this one from Vici is one of my favorites for Spring and Summer. 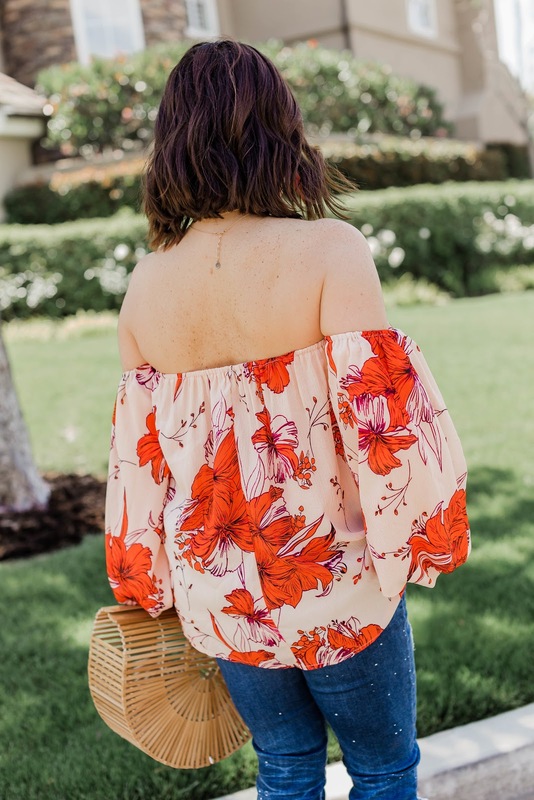 I love these colors and the off the shoulder style. 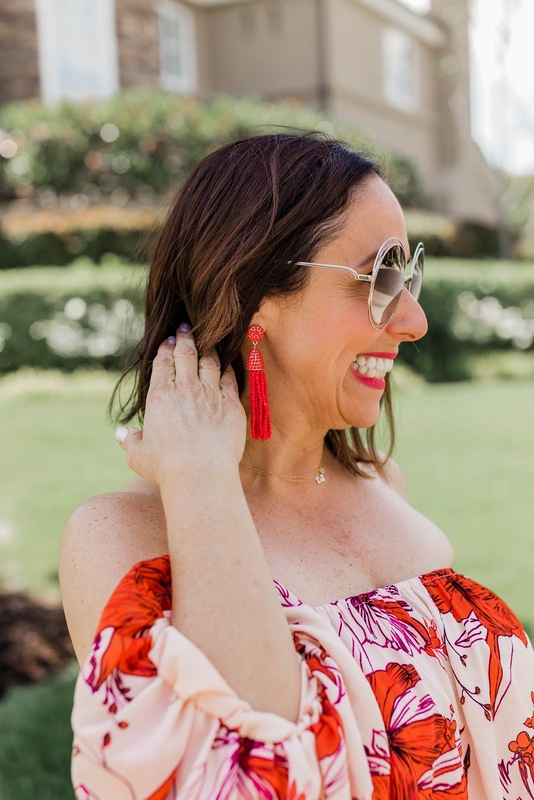 It is so fun and easy to style for a great night out with my hubby or drinks with the girls. 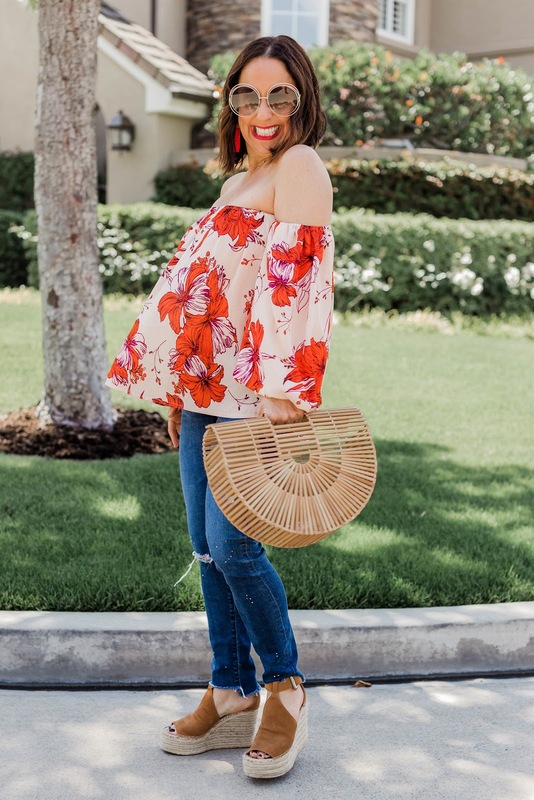 I paired this cute top with some of my favorite skinny AG jeans and my go to summer wedges. I am telling you, you need these wedges. They are so good!!! They go with everything and are so comfortable. 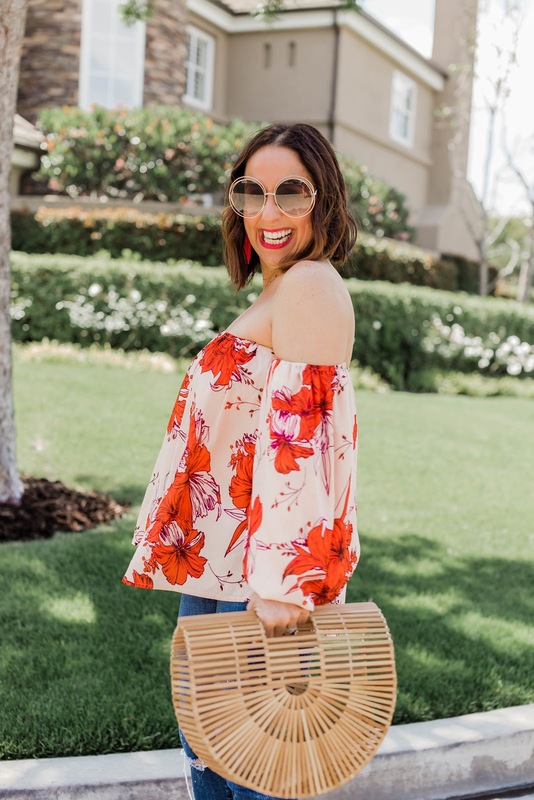 And can we talk about this cute summer bag? 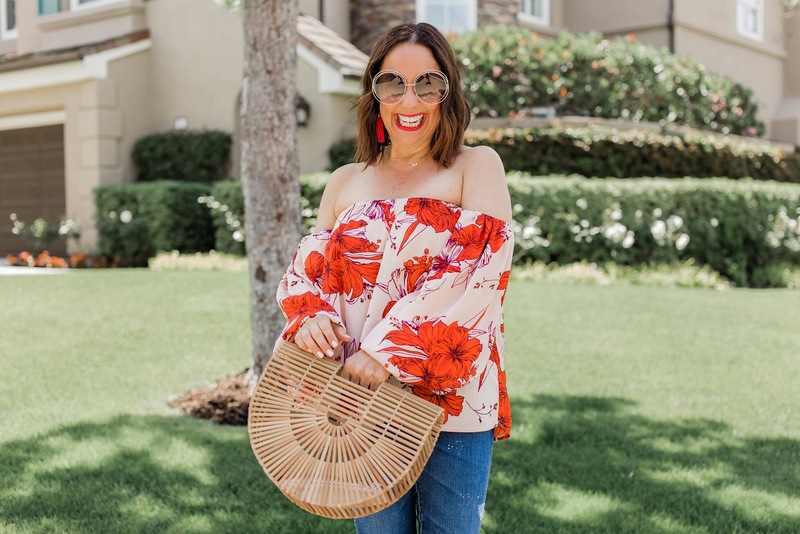 I know, every blogger has it but I truly love it and it looks good with many of my summer looks. 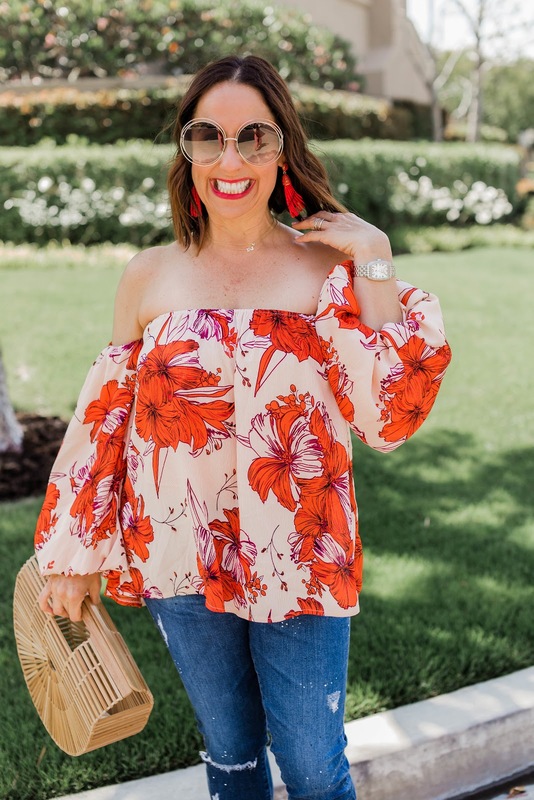 So remember ladies, you need to invest in a fun off the shoulder top, some great wedges and the perfect bag for summer. 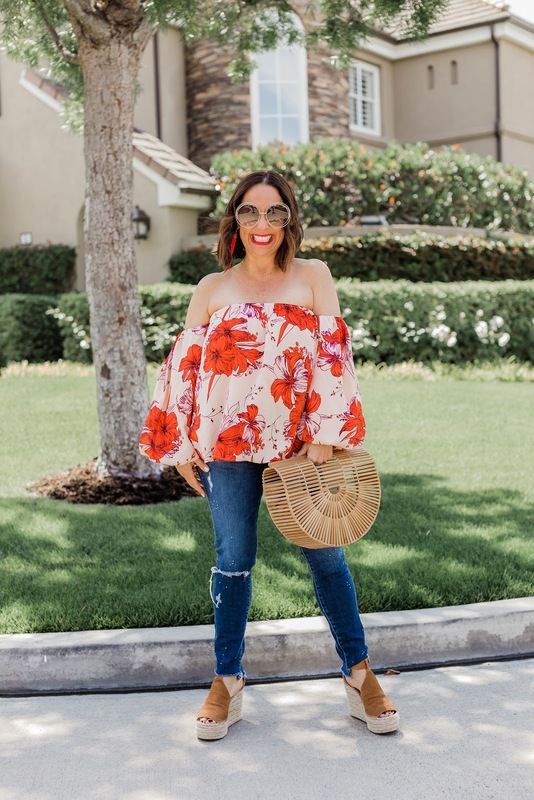 What are your favorite summer looks? Thanks to Gabi Wells for photos. You can shop this look by clicking on the links above. Happy Reading!!!! OK, this is such a cute find from Vici!! I haven't seen it yet, and it's SO cute on you friend! Love you babe! !